The use of burlap is great! This is a very cute shaker card! Pretty shaker card! 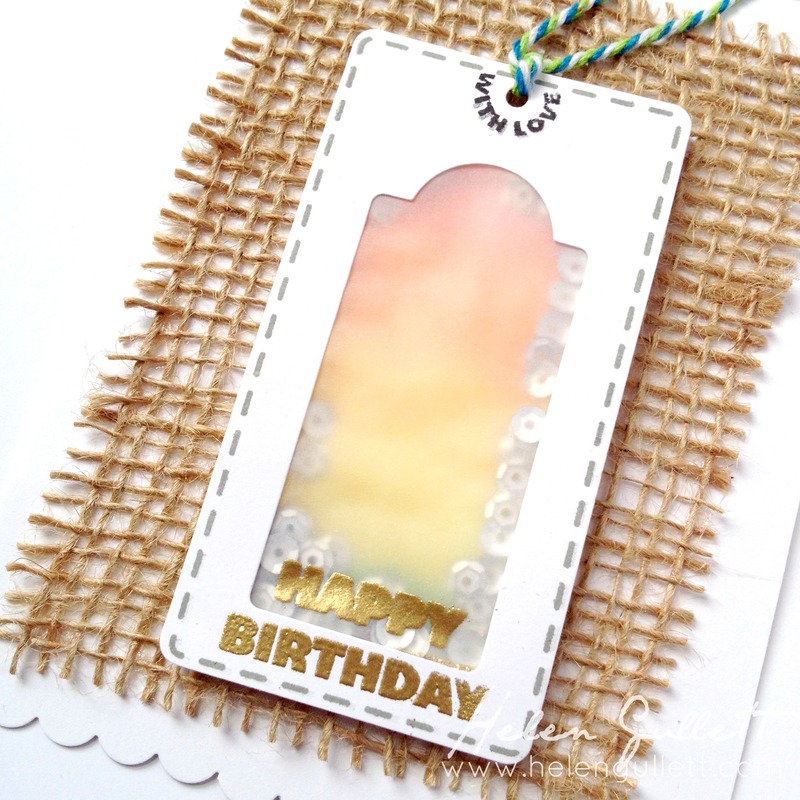 I love the texture with the burlap layer… great tip about the glue! 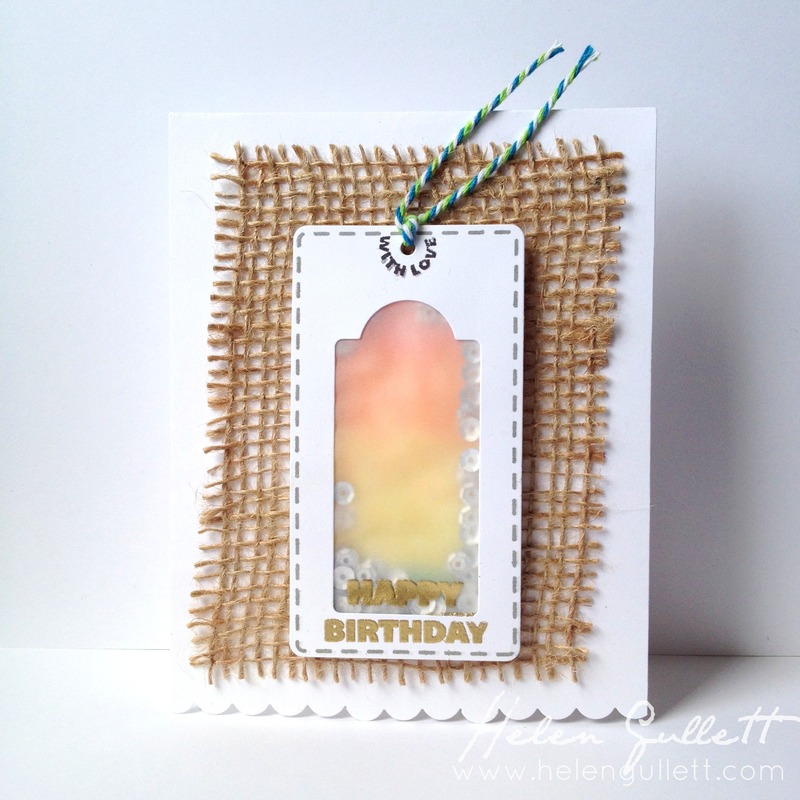 I love the soft look the vellum window gives, to your beautiful ombre-background shaker. Pretty and fun, at the same time! Great use of your CTMH supplies and tools, as well! It’s really original! A card that you can shake!! It spreads a lot of cheerfulness! !